I spent my childhood, teenage years and 20’s watching Coronation St, but when I had small children (in the days before playback TV) that 7.30 slot was filled with books and bed time and I lost the energy for soap operas. The teen and I have been watching Eastenders as our guilty pleasure for the last couple of years, but this week, due to the media hype and the fact I don’t like to be left out of any water cooler conversation, I tuned back into Corrie, and oh how I loved it. Obviously it wasn’t difficult to pick up on the story line, it’s the usual combination of affairs, mad women, lies about babies real fathers, etc etc, in fact in many ways, not that different from Eastenders. But I had forgotten about that northern sense of humour, that I so loved growing up. 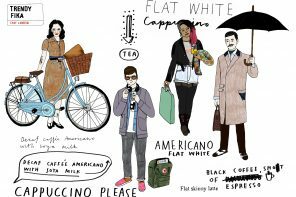 Lets face it, I have based my own humour on it for years, how could I have missed out on that that droll, camp, quick wit, for so long. The first ever episode of Coronation St was a masterpiece of observation on life in a Northern town and its inhabitants, particularly the women. Any programme that can include lines such as, ‘they’re very bay window down there’, ‘I could never take to a bungalow’ and ‘He’s right moody, well foriegners are’, deserves to run for fifty years. The above clip featuring Ena Sharples first appearance is classic, and I intend to model myself on her as I get older. If only I could talk that quickly! 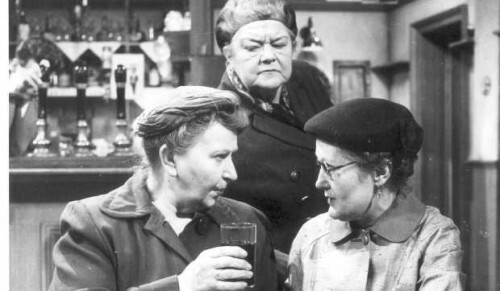 I’ll leave you with this…..
Ena Sharples and Martha Longhurst in the Rovers. Ena: If I had my way, I’d like to go like me mother did. Martha: Eeh, that were a beautiful ending. Ena: Oh, lovely. She just sat up, broke wind, and died. We all having the same again, girls?